There will be no Sunday Morning Life Groups on December 23 or 30. At First Denton we value meaningful community and life-giving truth. Our Sunday morning Life Groups are designed with those values in mind. You will have the opportunity to join together with others who are in a similar life stage and have a focused discussion driven by a biblical text. 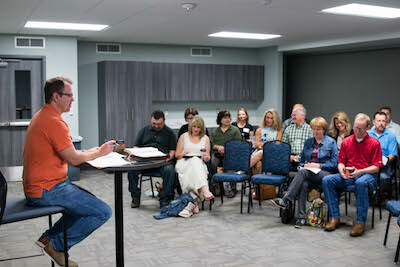 If you consider First Denton your church home, we would hope that you make every effort to be involved in a Life Group. No matter which service you attend, there is an opportunity before or after to be a part of meaningful community. 1st - 5th grade meet at 9:30 am on Sundays. 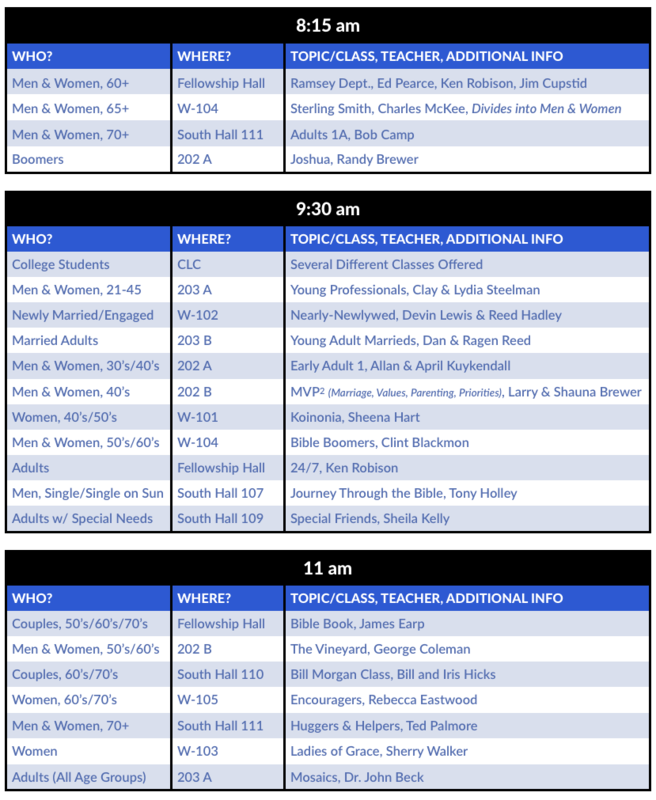 High School meets at 9:30 am and Middle School at 11 am on the Student Floor each Sunday. All college students meet in the CLC (Christian Life Center behind the main building) at 9:30 on Sunday mornings for Life Groups.